A valid credit card or debit card is required to reserve your reservation. Payment in full will be required to hold your reservation once we confirm your booking date and time. There will be a $50 cancellation fee for all parties or events canceled after payment is received. NO REFUND in the event of reservation being canceled within 14 days of your event. We will make every effort to postpone your event, with no penalty, to another date should cancellation be necessary. Rock ‘N’ Rollin’ Gamez Theater is committed to protecting your privacy. We use the information we collect on the site to make bookings as simple as possible and to enhance your overall experience. We do not sell, trade, or rent your personal information to others. Our general service area is a 60-mile radius from Katy, Texas. There are no travel fees for the first 20 miles, but must add a fuel surcharge fee when we travel beyond 20 miles to an event. See our Service Area page for coverage areas. The Rock ‘N’ Rollin’ Gamez Theater mobile game theater is designed for all types of weather conditions. The theater is insulated and climate controlled with heat and air conditioning. There may be occasions when the weather does not want to cooperate with your scheduled party. In the event of severe weather (lightning, very high winds, flooding and/or extremely heavy rain or snow, etc.) we may (and reserve the right to) reschedule your service to guarantee the safety of you, your guests, our staff and equipment. If the threat of these storms threatens your party and you are aware in advance (pending or anticipated major storm or other strong weather event) please contact us to begin the rescheduling. Rock ‘N’ Rollin’ Gamez Theater does require a parent or responsible adult to be present inside or just outside of the trailer at all times. Guests under the age of 16 require a parent or guardian be on property and within contact of the game coach should a need to contact them arise. Neither Rock ‘N’ Rollin’ Gamez Theater nor any of its employees shall be responsible for any damage to property resulting from a request by the client to position the theater in a specific location. This includes both above ground and below ground property/equipment damage. Additionally, we reserve the right to charge the client’s credit card for damages to the trailer or equipment resulting from the careless or willful damage of same by clients guests. Neither Rock ‘N’ Rollin’ Gamez Theater nor its employees assume any responsibility for any injuries sustained on the clients property or their designated location. All liability for damages or injuries are the sole responsibility of the client and/or host. 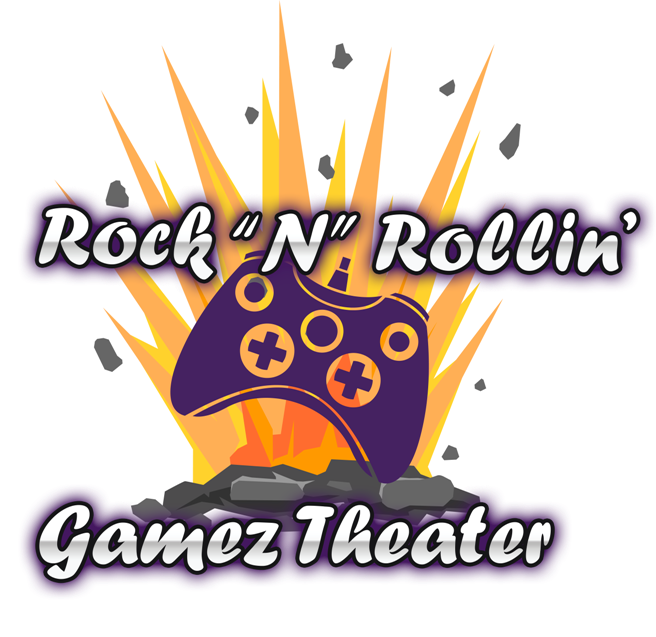 Rock ‘N’ Rollin’ Gamez Theater does not allow any food or drinks into the video game theater. Please have your guests consume them outside of the trailer prior to entering.